On Saturday, October 27th, a man burst into a synagogue during a circumcision ceremony for two twin baby boys. 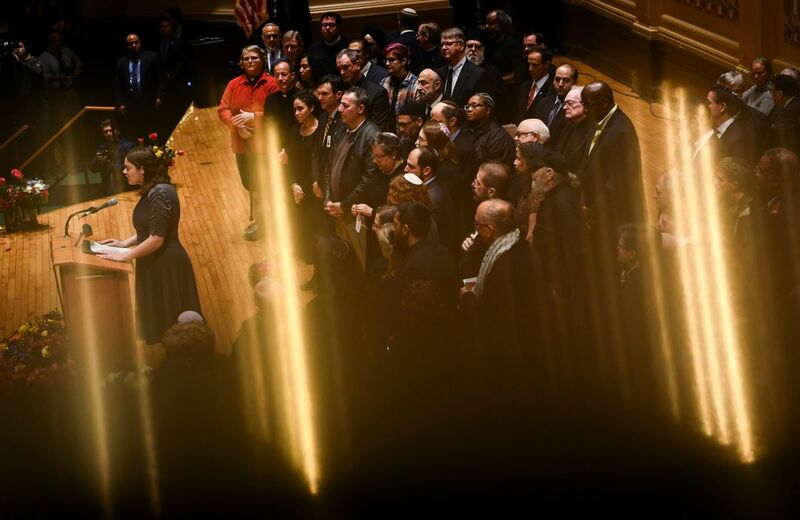 They were surrounded by their two fathers, family friends, those gathered for Shabbat services, and many others in Squirrel Hill, a historically Jewish neighborhood in Pittsburgh, Pennsylvania. 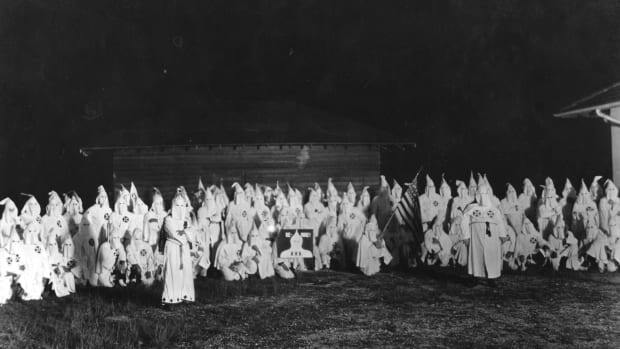 The man, Robert Bowers, shouted, "All Jews must die!" and opened fire with an AR-15 and three Glock .357 handguns. Eleven people died and six more were wounded, including four police officers. Finally, Bowers surrendered. He is now awaiting trial. 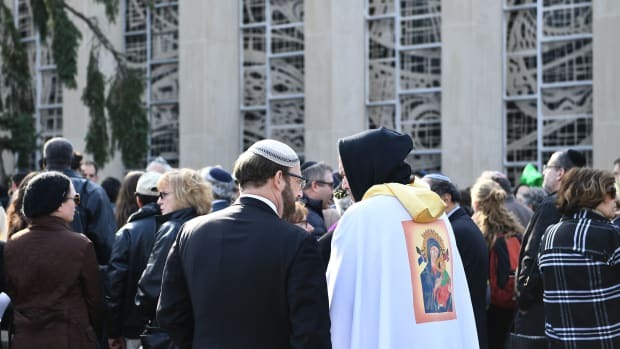 Jewish people across America—and the world—mourned publicly, in vigils, marches, and private gatherings. President Donald Trump flew to Pittsburgh, his Jewish son-in-law Jared Kushner and daughter Ivanka in tow, where he was met with dramatic opposition from many, some of whom blamed him for the recent rise of hate crimes and anti-Semitism. 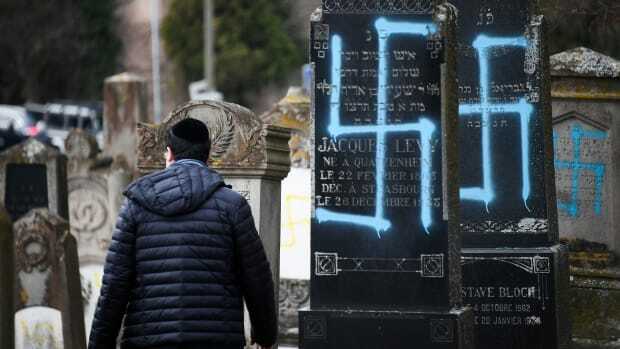 But Pittsburgh isn&apos;t the only site of anti-Semitism this week—it&apos;s been global. Days ago, Jewish philanthropist George Soros was mailed a pipe bomb, and a Fox News guest accused him of influencing the Department of State (an allegation rooted in anti-Semitic conspiracy theories). A Jewish cemetery in New Jersey was vandalized, a synagogue in Canada was damaged, a California synagogue was spray-painted with profanity, cars were tagged with slurs and swastikas in another New Jersey community, a Jewish community center in France was graffitied with a reference to the Pittsburgh attack, and comedian Ilana Glazer canceled an event after violent, anti-Semitic graffiti was found inside the synagogue hosting it. A man kneels to light a candle beneath police tape outside the Tree of Life Synagogue after a shooting there left 11 people dead in the Squirrel Hill neighborhood of Pittsburgh on October 27th, 2018. 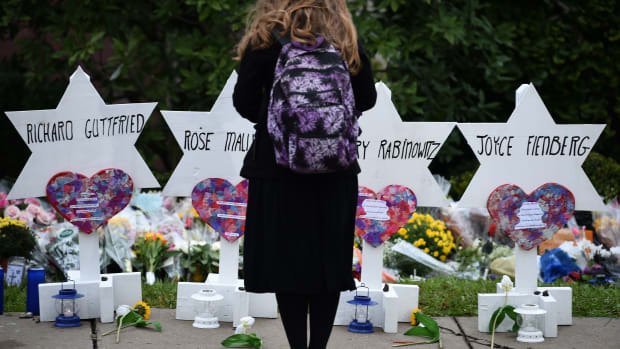 A heavily armed gunman opened fire during a baby-naming ceremony at the synagogue in Pittsburgh&apos;s Squirrel Hill neighborhood in the deadliest anti-Semitic attack in recent American history. 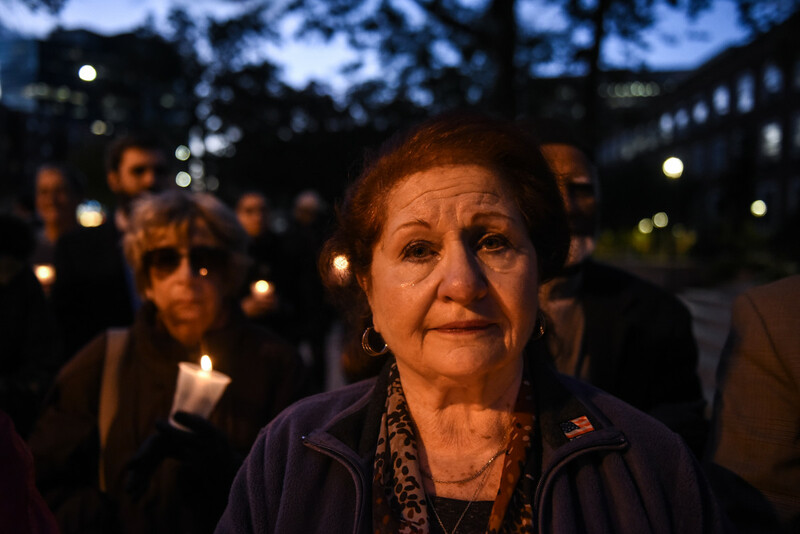 People take part in a vigil to remember the victims of the shooting at the Tree of Life synagogue at the Allegheny County Soldiers Memorial on October 28th, 2018, in Pittsburgh, Pennsylvania. 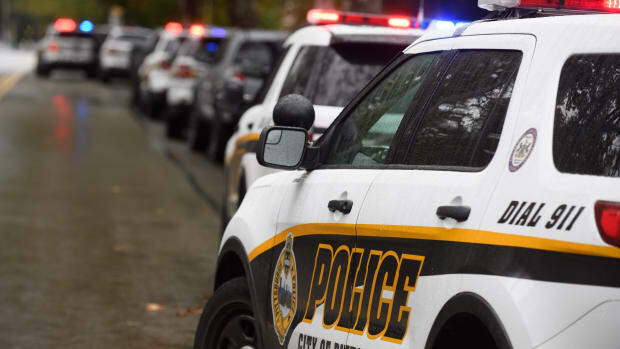 The man suspected of bursting into a Pittsburgh synagogue during a baby-naming ceremony and gunning down 11 people, identified as 46-year-old Robert Bowers, has been charged with murder. 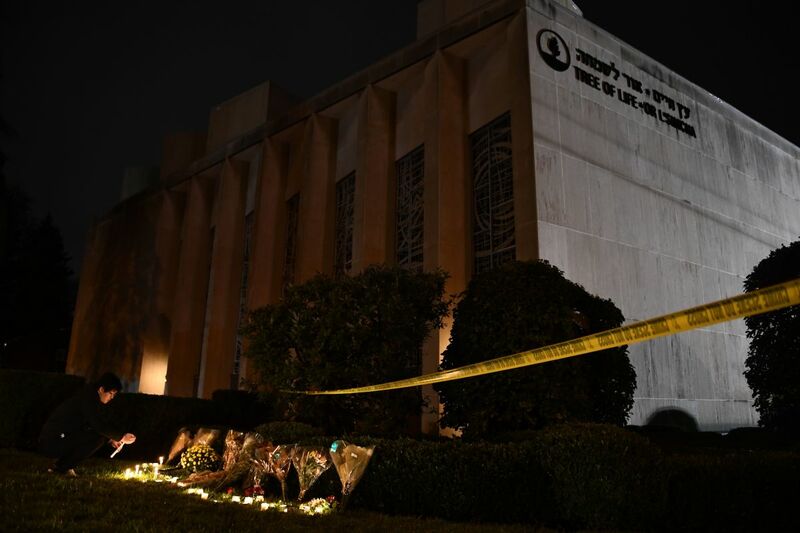 Bowers reportedly yelled "All Jews must die" as he sprayed bullets into the synagogue during Sabbath services on Saturday before exchanging fire with police in the deadliest anti-Semitic attack in recent U.S. history. Sarah Goodman, a Queens resident, participates in a candlelight vigil in memory of the victims of the mass shooting at the Tree of Life synagogue on the steps of Queens Borough Hall on October 29th, 2018, in New York City. 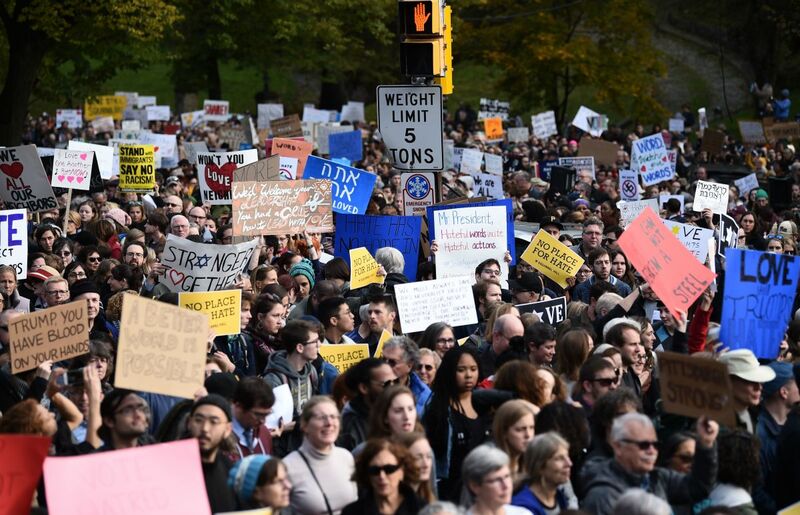 Scores of protesters took to the streets of Pittsburgh to denounce a visit by U.S. President Donald Trump in the wake of a mass shooting at a synagogue that left 11 people dead. Demonstrators gathered near the Tree of Life synagogue, where the shooting took place, holding signs that read "President Hate, Leave Our State!" and "Trump, Renounce White Nationalism Now." 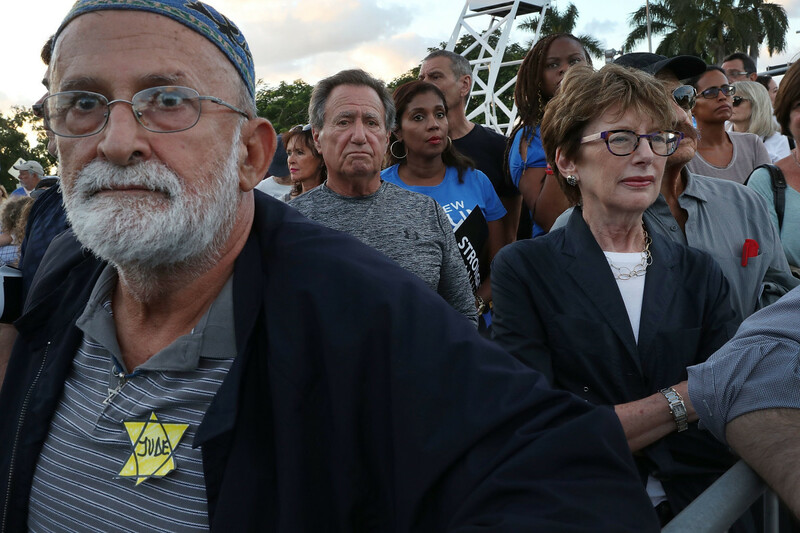 Marco Arias, wearing the symbol Nazis used to identify Jews during the Holocaust, joins with others for a community solidarity vigil at the Holocaust Memorial Miami Beach on October 30th, 2018, in Miami Beach, Florida. 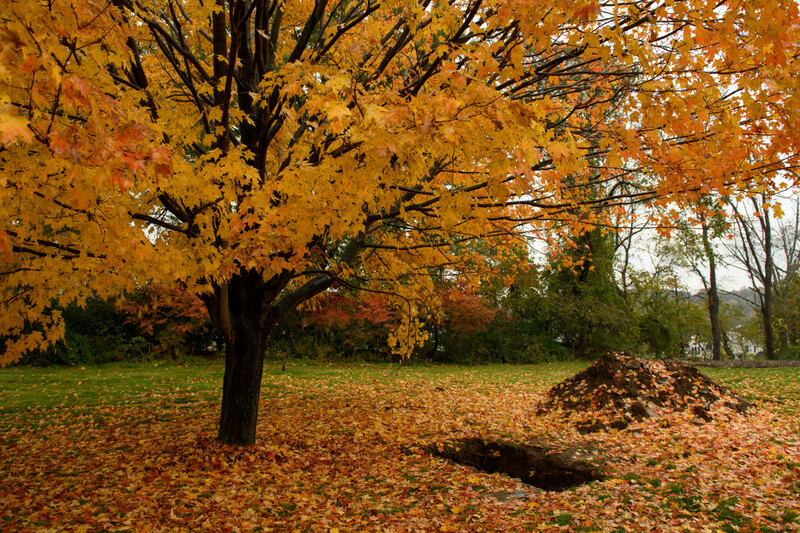 The final resting place of Rose Mallinger, 97, lays ready for her casket in the Tree of Life Memorial Park on October 31st, 2018, in Pittsburgh. 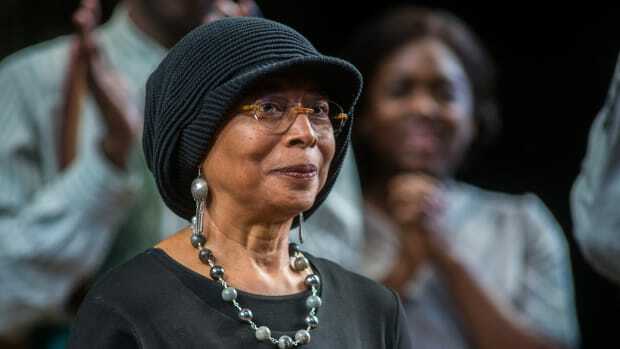 Mallinger, a mother of three, grandmother to five, and great-grandmother of one, was among the 11 killed in the mass shooting.